Dog’s fur is an identification of his/her health. So a loving dog owner always takes care about the coat of his dog and does everything to make it look perfect. But unfortunately some dog collars may cause rubbing and as a result the area around dog’s neck may become less woolly and effect the general appearance of the dog. So if you are the owner of a dog breed with long coat than you do understand what we mean. To avoid such unpleasant situations and provide your dog with comfort and care our company is glad to offer you our Great Fur Saver Choke Dog Collar. Due to this collar your dog’s coat will not only be saved from rubbing but also will help you to control pulling and contribute to your obedience training with him/her because it is used as a choke collar as well. You have already found it here. 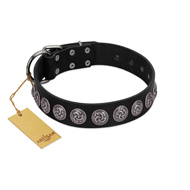 This dog collar will probably become your magic wand! And both you and your dog will be happy. 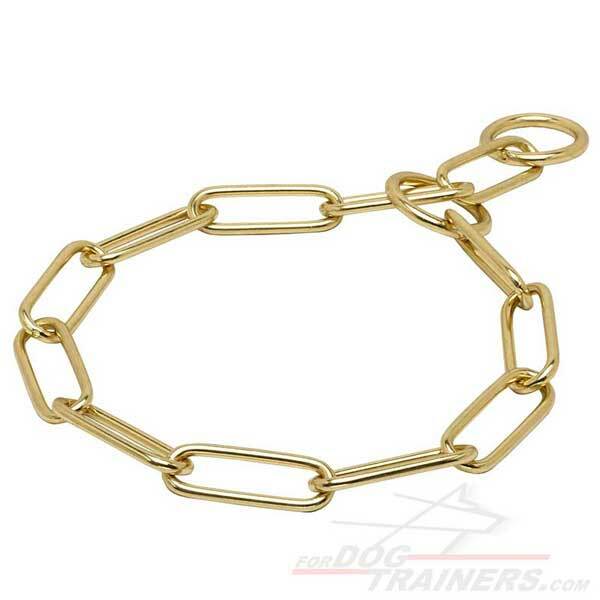 This brass fur saver collar is rather durable and will be able to withstand the load of your dog's pulling. Please note that for the collar to work as a choke one please attach your leash to the relevant O-ring. The one that is attached to the end of the collar and threads the chain through the other O-ring. The weight of this Brass Fur Saver Collar depends on the size and may vary. The diameter of the wire is 1/6 inch (4 mm). 1. Do not leave your dog wearing this fur saver collar without any supervision. He may try to take it off and hurt himself. 2. In case your dog is still a puppy, you should choose the size of the collar that fits him now, otherwise it will not have any obedience training effect, moreover your pup will be able to take it off easily. 3. Be extremely precise in measuring your dog's neck circumference. The collar should be neither too tight nor loose. 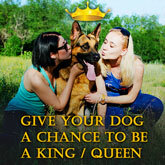 Otherwise your dog will feel uncomfortable and you won't reach the needed result in training. 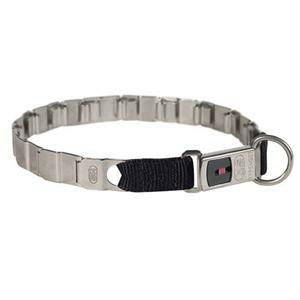 This fur saver dog collar goes in three different metals. You are welcome to check the table below with the links to Chrome Plated and Stainless Steel fur saver dog collar of the same size. Stainless Steel Fur Saver Dog Collars are classic design quality accessories. 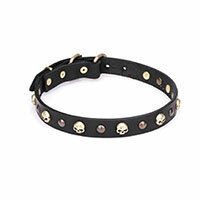 Chrome Plated Dog Pinch Collar is a more budget variant.